Home » Headlines » Science » Jurassic Park IRL: Will We Ever See the Dinosaurs Again? Is it possible to bring the dinosaurs back to life as they did it in the Jurassic Park movie? What would be the consequences? You will find scientifically based answers in this article. Is There a Chance to Meet a Dinosaur Today? The new Jurassic Park movie has left people around the world with a ton of unanswered questions. Will we be ever able to bring dinosaurs back to life? What should we do for that? Will we be able to ride a dinosaur like a pony or horse one day? Currently, scientists are unable to resurrect the giant prehistoric reptiles, so we are unlikely to see them roaming our streets any time soon. 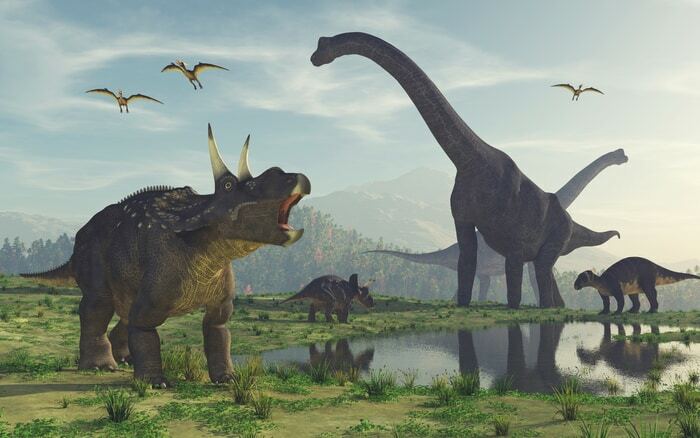 In this article, we will be discussing the possibility of resurrecting dinosaurs as well as the positive and negative consequences of de-extinction. Cloning a Dino: Myth or Reality? Perhaps, some of you have read a hoax story claiming that a UK scientist found a way to clone a dinosaur. As it later turned out, the image used in the article was nothing else but a baby wallaby. To lend the article more credibility, its author(s) referred to the scientists experimenting with Dino DNA. The truth is that no DNA of this species has survived to this day. It is possible to obtain DNA samples of frozen mammoths, but it is a different story with dinosaurs. Scientists calculated that dinosaur DNA has a half-life of about 520 years. After that, it begins to decay, destroying the remaining nucleotide bonds that hold it together. Scientists can only find and explore dinosaur bones, not their genomes. Those are on display in museums, but it would be untrue to say that they contain any intact DNA material. Let’s assume that the samples of dinosaur bones in some museums do have some genetic material in them. However, the same group of scientists proved that it would be impossible to recreate dinosaur DNA because too much time has passed since then (dinosaurs are thought to have gone extinct some 66 million years ago). There is one more alternative that some people think might work: reverse engineering. It involves experimenting with living creatures and continuing backward — towards the reptiles that lived a long time ago. It could be a way to reverse a minimum of 66 million years of evolution. However, a bird with reptile-like teeth or a long lizard tail may not be considered a dinosaur and will forever remain what it is, i.e., a reverse-engineered mutant. Perhaps, crossing the extinct species with the living ones will work?. Well, why not? — you might say. It did work with the frogs in Jurassic Park, didn’t it? The problem is that finding fragmented DNA is not enough — to resurrect an extinct creature, you will also need its full genome. Mixing the Dino genome with that of frogs simply makes no sense. Why? Because frogs are amphibians, whereas dinosaurs have a lot in common with birds. Few people are actually aware of that. One more option that might work is combining the Dino genome with that of crocodiles. After all, they both have a common ancestor. However, as in the case with frogs, you will still need a full genome. In other words, even by using the most advanced technologies, we will not be able to create a cross between a dinosaur and a bird. There is one more factor everyone ignores. Even if it was possible to bring dinosaurs back to life, the consequences might be unpredictable. Just re-watch the Jurassic Park films to get the idea of what I am talking about. Should we risk our lives like this? The Stanford researchers have analyzed the advantages and disadvantages of resurrecting extinct animals. You can use this data to either write an academic paper on your own or ask for assistance in writing a paper. Tech advancement/breakthrough. De-extinction can bring about a revolution in genetic engineering. Environmental advantages. It will become possible to restore ecosystems that are currently under threat. Scientific Contribution. Bringing extinct animals back to life could offer more insights into evolution and provide natural resources that are unavailable today. Justice Humanity owes its existence to the extinct animals and plants, so it might be a good idea to pay the environment back by restoring some of its elements. Health. Resurrected animals can carry retroviruses that can threaten human health. Moral. De-extinction may be compared to playing God. Such actions may also have adverse outcomes. Animal welfare. Humanity may start exploiting the resurrected species for its selfish purposes, thus causing a global disaster (like the one in the Jurassic World series). Environment. Resurrected animals can act as predators, and it will be difficult to predict their role in the new ecosystem. Political. Such actions could lead to the reshaping of different branches of science (e.g., medicine and the conservation of animals that are under threat). Perhaps people should not resurrect the extinct species after all?